An individual mandate for electricity meters. In the early days of the Obama administration, “smart power” was all the rage—and not just on the foreign policy scene. In April 2009, National Public Radio reported how one Allentown, Pennsylvania, mother was saving more than a hundred dollars each month on her electric bill. Tammy Yeakel’s power company, PPL Energy, had helpfully installed a “smart meter” on her home that could monitor her power usage in real time. The meter uploaded that information to PPL’s website, so she could identify peak usage times during the day. Thanks to her newfound knowledge made possible by the smart meter, Yeakel was finding all sorts of ways to save, like installing a storm door and switching to compact fluorescent light bulbs. And in the middle of the recession, those extra dollars saved were important. President Obama wants to use stimulus money to help install 40 million smart meters nationwide to help Americans save electricity and money. Smart meters can track energy use daily, hourly, monthly and even instantaneously, and send that data to power companies. The advanced meters can save companies money, because they no longer need meter readers, and they can fix outages more efficiently. 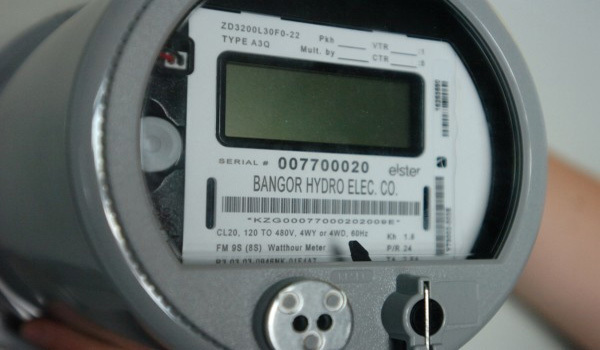 Even with the purported opportunities to save, not everyone was pleased with the meters, especially since this new “smart grid” seemed to be getting things wrong. The New York Times reported in December 2009 that many customers in California were in “open revolt” over the nearly 4 million new meters already installed by the utility company Pacific Gas & Electric because they claimed the meters were running too fast and charging them for energy they hadn’t used. One meticulous customer interviewed by the Times compared her usage for the month July 2008, before the meter was installed, to July 2009. She found her recorded usage jumped from 474 kilowatt-hours to 646 kilowatt-hours. Her bill was more than $20 higher. Another customer saw an even bigger jump in 2009, from 236 kilowatt-hours to 791 kilowatt-hours. “And he had recently insulated his attic and installed new windows,” wrote the Times. They also say the meters will be crucial to remaking the electric system to handle intermittent power sources like wind turbines and solar cells while continuously meeting customers’ needs. Commonwealth Edison customers who refuse to have smart meters installed will be charged $21.53 a month, regulators decided Wednesday. “If customers make the decision to refuse a (smart) meter now and incur monthly charges associated with this choice it should be with full knowledge that this refusal is simply deferring the inevitable,” the Illinois Commerce Commission said in its order. The message? Get smart, or pay up.